Real estate prices are continually changing. House values appreciate in the long term usually. But there are no guarantees in real estate, of course. When your property appreciates you have a larger asset to borrow against, and you'll realize a higher profit when you sell. Property values in California, Texas, or Florida rise and fall for various reasons, so how will you know what you're investing in this year won't depreciate the day after you close? Choosing a real estate agent in California, Texas, or Florida who understands the factors that influence local prices is the most important thing. A lot of people believe that the economy is the major factor affecting real estate appreciation. Naturally, mortgage rates, unemployment, job growth, government programs and many other national factors have a definite influence on your home's worth. However, your home's value and the things that play the most significant role in its appreciation are specific to the local California, Texas, or Florida economy and housing market. Location in a community - People typically want homes in the districts with the most accommodating features, like our schools and jobs. So when it comes to keeping their value, these regions generally appreciate much more reliably than areas lacking key features. Recent home sales - Are homes on the market 30, 60, or 90 days or even longer? Are sellers needing to discount much or offer concessions A lot of data can often be retrieved from public records, but a good agent with access to the local MLS will often provide a more complete picture. The appreciation history - Is the neighborhood believed to be desirable because of its location or affordability? Have house prices increased or decreased over the last 5-10 years? The local economy - Are local companies hiring? Have companies moved into or away from an area? Is there a good mix of business in an area, or does it depend on just one industry? Is the mix of commercial and residential zoning changing? These items play a role. 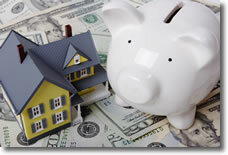 It's wise to learn about the factors that affect your home's financial worth. Get an estimation of your house's value here. Call us at (888) 326-3949 or e-mail us if you have any questions at all. We'd love to hear from you.